So, last week I shared that Easy Puff Pastry recipe, and I was so pumped about how great it turned out, I just couldn’t wait to start showing you examples of what all you could do with it. I figured, it’s nearly fall- ’tis the season for apples and cinnamon! I’ve got tons of cinnamon apple recipes here on Baking a Moment, including these Baked Apple Cider Donuts, this Apple Butter Cinnamon Swirl Bread, and these Caramel Apple Oatmeal Carmelita Bars. 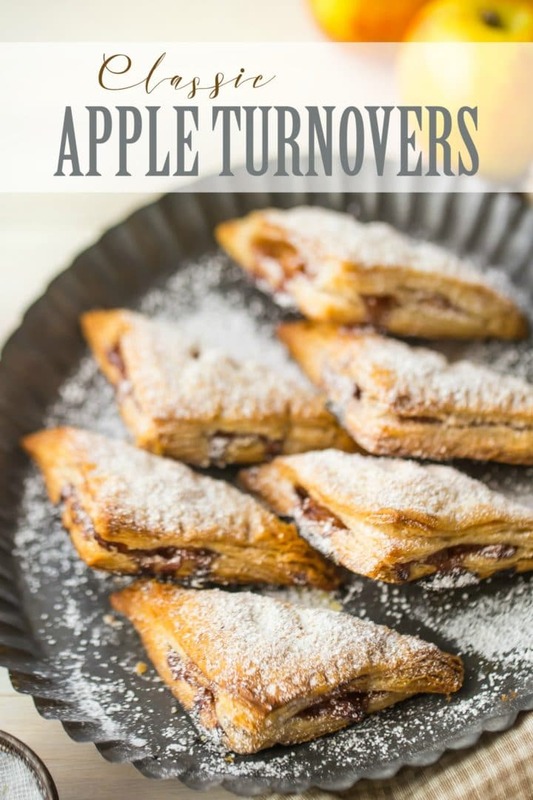 But today I am all about this Apple Turnover Recipe! 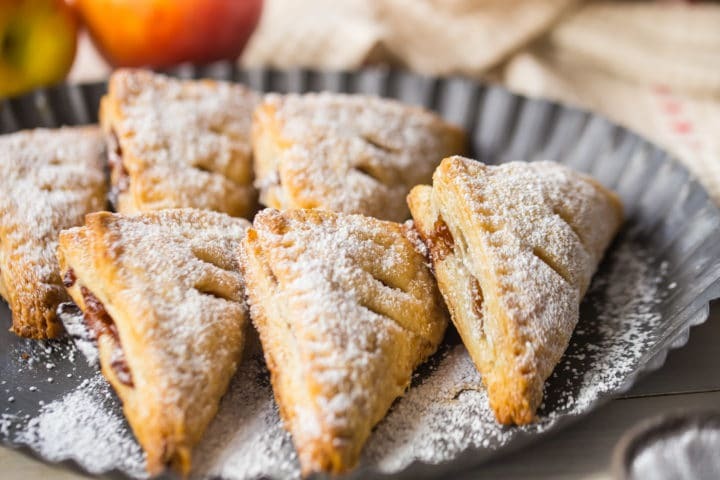 When I was a kid growing up, we often had a box of apple turnovers in our freezer. I can remember waking up early for school on a chilly morning, and popping an apple turnover in the oven for my breakfast. It was such a treat! And now, I can make them homemade. Even better! These apple turnovers are light as air and unbelievably flaky. The pastry has a rich, buttery taste that just can’t be beat. And they’re filled with plenty of fresh, juicy apples, swimming in cinnamon and a touch of brown sugar. Serve them for breakfast, brunch, or with a scoop of vanilla ice cream and a drizzle of caramel sauce for dessert. 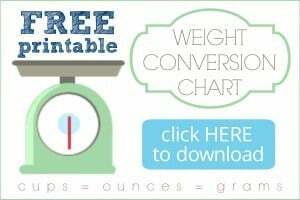 Your family will absolutely LOVE them! What is an apple turnover? 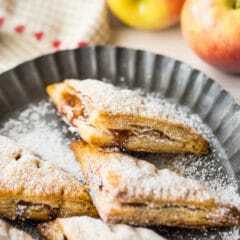 An apple turnover is a classic pastry made by spooning a simple apple filling into the center of a square of pastry, then folding the square into a triangle shape, encasing the filling. The turnovers are then baked to golden brown perfection. 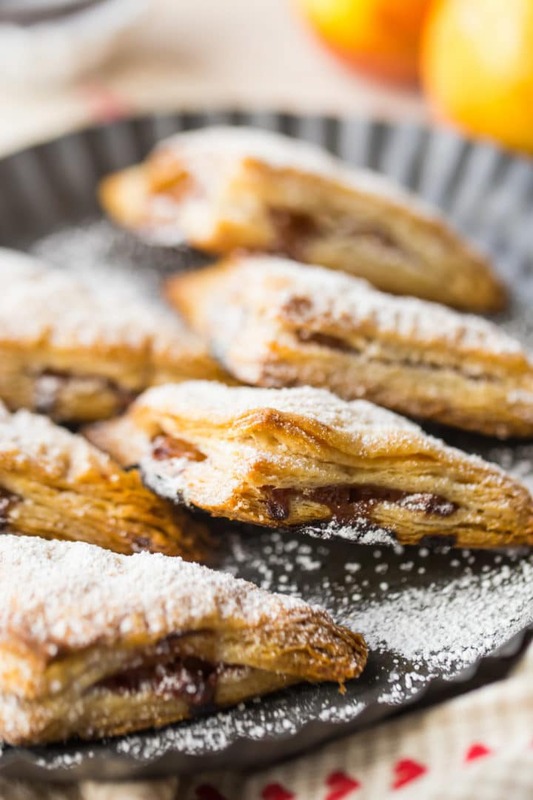 When you tear into an apple turnover, the pastry should be light and flaky, and there should be a bit of cinnamon-y apple in every bite! For this apple turnover recipe, we are using puff pastry as the base. You can use frozen puff pastry sheets, but I would highly recommend making your own puff pastry. It tastes a million times better than anything store-bought, and it only takes 15 minutes and 4 simple ingredients. Learn more about my favorite puff pastry recipe here: Easy Puff Pastry Recipe. Once your pastry is made, roll it about 1/8-inch thick, and cut it into 8 4-inch squares. Then just keep them nice and cold while you make the filling. For the filling, just saute 2 apples (I used Granny Smith) in a little butter, along with brown sugar, flour, cinnamon, and a pinch of salt. (I forgot to show the flour and salt going in, in the video below. Sorry! Hopefully you still get the idea.) As the apples cook, the flour will thicken the juices, and the fruit will become soft and tender. Allow the filling to cool and then spoon a small amount onto each square of dough. Wet the tip of your finger with a little water, and run it along 2 adjoining sides of the square, then fold the dough diagonally to form a triangle. Press carefully to seal the edges, and cut a couple of slits so that steam can escape as the turnovers bake. The most important thing to remember when making these kinds of treats is that they MUST be cold when they go into the oven. When cold butter hits a hot oven, steam is released, allowing the pastry to puff up and be light and flaky. So if your apple turnovers have become warm or soft as you’ve been preparing them, pop them into the fridge or freezer for a bit to get them chilled and stiffened back up. The oven temperature for this recipe is pretty hot: 400 degrees F. Again, cold butter + hot oven = light, flaky pastry. Make sure your oven is fully preheated before the turnovers go in! They’ll need about 25 to 35 minutes to bake. You’ll know they’re done when they’re really puffy and golden brown. Once they’re cool enough to eat, garnish them with powdered sugar (like you see in these pics and video), or drizzle them with a little powdered sugar glaze (1 cup powdered sugar mixed with about 2 to 3 tablespoons of milk). What kind of dough should be used for apple turnovers? I guess sometimes turnovers can be made with other kinds of dough, but in my mind puff pastry is the traditional, classic way. But if you’d like to experiment, you can try making them with pie crust, biscuit dough, or Danish dough instead. These apple turnovers will keep at room temperature for a day or so, or in the fridge for 5 or 6 days. Or, they can be made ahead and frozen! See below. Can this apple turnover recipe be made ahead? This is a great way to have apple turnovers. Make a batch on the weekend and you’ll have breakfasts all week long! Here’s the lowdown: make the dough and the filling, cut the pastry into squares and fill them as noted above. Then, place them on a sheet tray and freeze them solid (should take about 2 hours in the freezer). Once they’re frozen through, they can be transferred to a zip-top bag or airtight container. When you’re ready to serve the turnovers, place them (frozen) on a parchment-lined baking sheet and pop them into a hot oven. In 30 minutes or less you’ll have freshly baked, homemade apple turnovers. Ta-dah! Roll the puff pastry out to a thickness of about 1/8-inch, and cut into 8 equal squares. Chill on a parchment-lined baking sheet. Place the butter in a skillet and melt over medium heat. Add the apples, brown sugar, flour, cinnamon, and salt, and saute until the apples are tender. When the filling has cooled completely, spoon a small amount into the center of each puff pastry square. Wet your finger with water and run it along 2 adjoining sides of the squares, then fold the squares over diagonally, forming triangles. Press carefully to seal the edges, and use a sharp knife to cut vents in the top of each turnover. Chill the turnovers in the refrigerator for 10 minutes. Bake the turnovers for 25 to 35 minutes, or until the pastry is golden brown and puffed. My daughter Katie’s favorite dessert of all time is apple turnovers. I can’t wait to make this for her! I have to admit- I’m impressed with you using your own homemade puff pastry! Yum! My pleasure Stephanie! I’m so happy you like it! Just tried this yummy recipe. OMGoodness such a yummy flavour, Thank you Allie I’ll be doing this for my kids next get together! Awesome! So glad you were happy with it Leigh! Hope your kids enjoy it too!